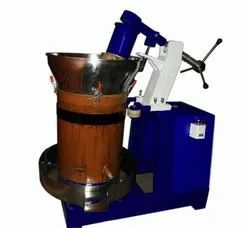 Manufacturer of a wide range of products which include groudnut oil extracation machine, cold press oil extraction machine, cooking oil extraction machine, edible oil extraction machine, peanut oil extraction machine and sesame oil extraction machine. 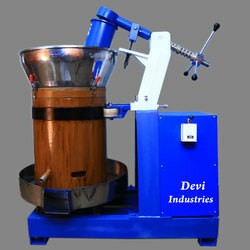 Capacity :- 12 - 15Kgs. Time - 40mins. - 50mins. - 50mins. Power :- 1.4 Unit/ lot. Dimentions (mm)(LXBXH) :- 1200 x 800 x 1600. Weight : 0.5 Ton. 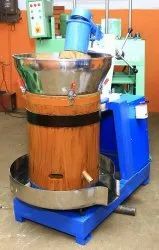 Motor & Gearbox : 3Hp III Phase Motor/ 2HP I Phase & 35HP Helical Gearbox. 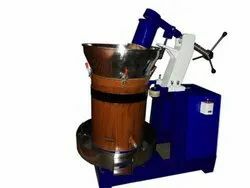 Feeder , Cone & Drainer :- Food Grade Stainless Steel. Wood :- Vaagai Wood (Siris Tree). Dimentions (mm)(LXBXH) :- 1200 x 800 x 1600. Weight : 0.5 Ton. Size 1200 x 800 x 1600. 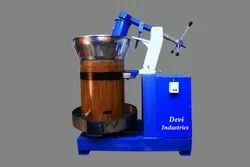 We are offering Wooden Oil Extraction Machine.